The viking from Denmark stormed to victory in the sprint races here at Severa Beach in Rome, Italy, on the final stop of the European Cup presented by Starboard. 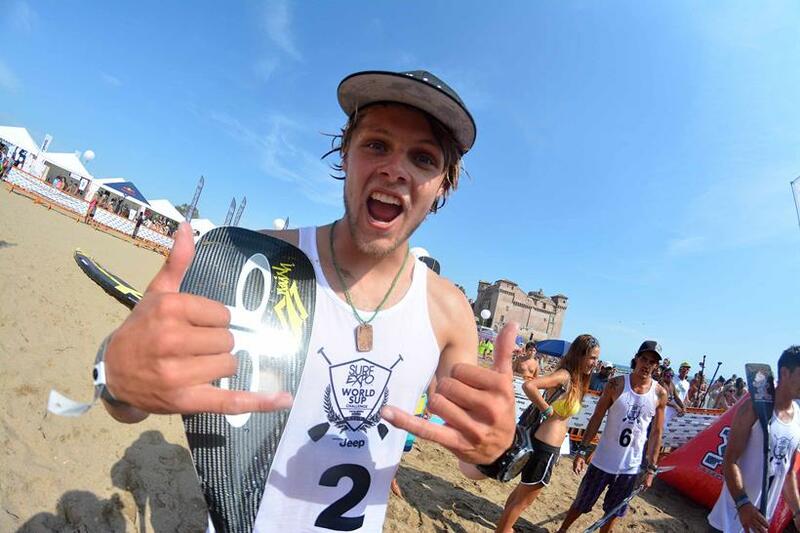 After some great racing in the heats, Casper Steinfath (Naish) dominated the final. Charging from the horn the Dane got off to a great start and hit the first buoy out in front of the chasing pack and didn’t look back. Catching some nice little bumps on the runs into the beach Steinfath took the win comfortably. After the start was delayed due to rain and the threat of lightening The World SUP Challenge presented by Jeep got underway mid-afternoon in glorious sunshine. Coming off the back of a 6th place overall in Fehmarn, Germany, Steinfath is fighting to be crowned top European with local Italian Leonard Nika (Starboard) & Frenchman Eric Terrien (BIC SUP). Local Italian favourite Leonard Nika (Starboard) who lives just an hour away from Severa Beach, took second. After reaching the final along with his brother Claudio Nika (Starboard) It was older brother Leonard who showed his mental toughness and ability to finish second in a strong line-up of international paddlers. With his eight place last week in Fehmarn, Leonard, cheered on by a huge local crowd wanted to put on a performance and he didn’t disappoint. After some close heats leading to the final the local favourite pulled off a confident final paddle to secure second place. After cruising through his heats Jake Jensen (Fanatic) looked in great form and the favourite to take the win here on Day 1 in Rome. After some fine paddling and easily winning his heats the Australian was going to be hard to beat in the final. However a slip-up out of the blocks on the start line mean’t he didn’t get the break away he was looking for. He recovered superbly and battled back to finish in third place. Still in with a shot of winning overall he’ll be certain to make up for his mistake in the Long Distance race tomorrow. 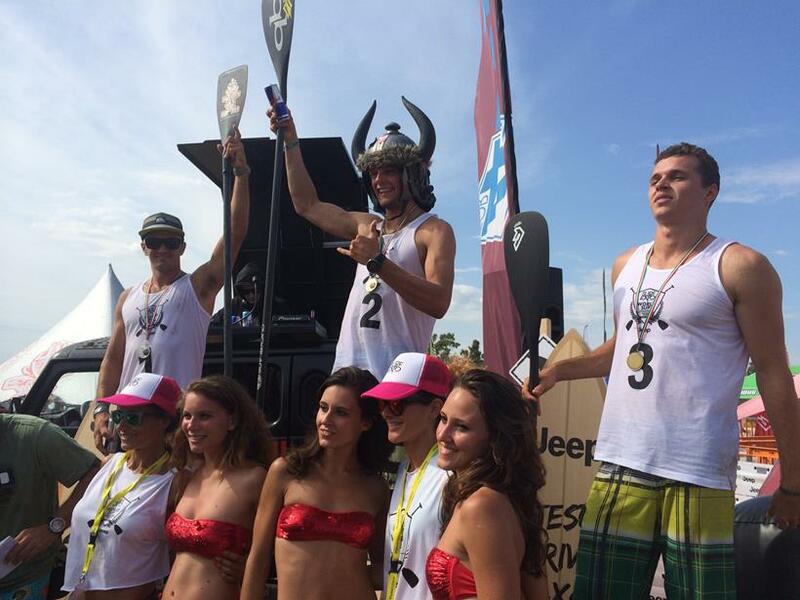 Roman Frejo (Starboard) finished in fourth position after some strong paddling saw him reach the final. Fifth place went to Claudio Nika (Starboard) from Italy and he looks to be following in his older brothers footsteps. 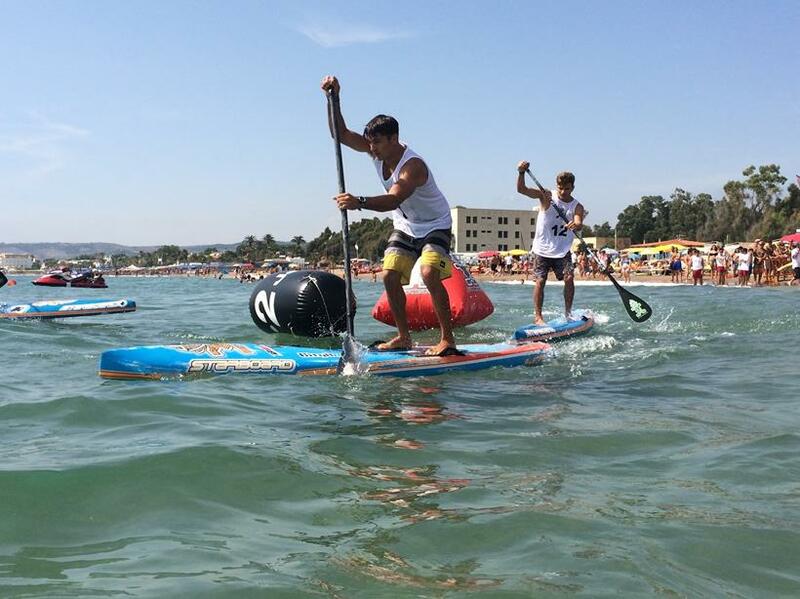 Eric Terrien (BIC SUP) from France secured sixth place and is always a tough competitor to beat. With bags of experience, grit and determination in Sup racing Eric will be slightly disappointed with the result. He will be hoping for a better performance in the long distance race tomorrow to boost his chances of taking the title of top European paddler. Laura Quetglas from Spain hit three bullet wins and storms to the top of the podium on Day 1 in Rome. A strong technical paddler Laura showed the rest of the field why she is a forced to be reckoned with. From the start of the day she was focused on the win and three comfortable wins from three means she leads going into tomorrow’s long distance race. In second place was fellow Spaniard Susak Molinero. Born in Barcelona, Susak now lives and trains in Italy so is well at home with the conditions. Coming into the event off the back of a third place overall last year she showed some impressive buoy turns and intense paddle strokes to see her over the line in second place. Current German Champion Noelani Sach (Naish) has set the European Cup alight this year and finished Day 1 in third here in Rome. After winning in Finland 2 stops back the talent youngster made another podium finish. After some powerful beach starts in each of the three rounds she will be looking for another podium finish tomorrow in the Long Distance. 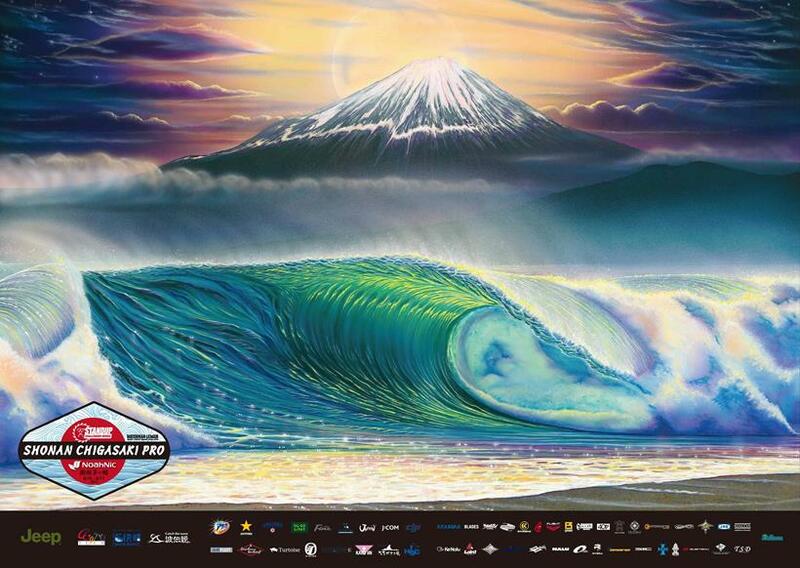 The Shonan Chigasaki Pro Japan, will bring the World of SUP to Asia for the first major international event in the sport’s history, as the foundations are laid for a bright future in the region and a selection of the World’s best will meet with hundreds of Japanese participants for a unique and groundbreaking event. 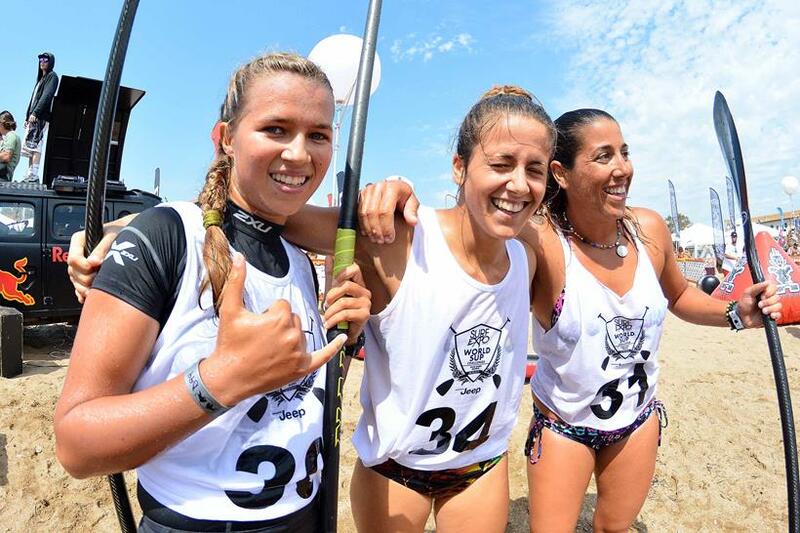 Twinned with the City of Honolulu, Chigasaki will celebrate the sport of Surfing from the 15th – 17th August to commemorate Duke Kahanamoku’s birthday and stage a World Class Challenger Series event, opening their arms to the sport of Stand Up Paddling. With high profile athletes from Australia, Europe, Hawaii, the US and beyond, the event promises to be spectacular in every sense, as this quaint seaside town just outside of Tokyo is transformed into a hive of activity for the weekend of the 15th – 17th August.